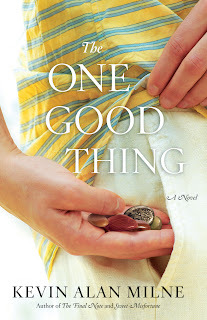 At the beginning of “One Good Thing”, Nathan Steen seems like the perfect man. He could be the man that romance books write about -- loving, kind, perfect family man. He always carries stones, and when he does a good deed, he moves a stone to a different pocket so he knows if he’s done all his good deeds for the day. Sometimes he does something small, or he might take half a day (and his family) to help clean an elderly woman’s home. But Nathan carries a secret. Only one person knows his secret, and that person is not his wife Halley. It isn’t until a freak accident when he’s helping a Hispanic man named Jesus who is stranded by the roadside that the facade Nathan has been living behind shatters -- because he is killed. The law firm he works for allows Halley access to his computer so she can retrieve any personal documents. That’s when she sees the e-mail from Madeline Zuckerman that references “our little girl”. Halley has never heard of this woman, nor did she know Nathan had any other children. Alice, Nathan’s daughter is convinced there has to be some mistake, but even her grandparents know who Madeline Zuckerman is, but Alice isn’t swayed. She knows everyone is wrong because her dad wouldn’t have another child or he would have told her. This book chronicles the story of the Steen family as they come to grips with finding out that their hero wasn’t as big of a hero as they thought. It takes us back to Nathan’s high school days, introduces us to Madeline (or as she was called back then Fatty Maddy). Old wounds get reopened, and hurt runs deep when there’s a two decade long secret, but in the midst of hurt there’s honor. I loved this book. I read it in two sittings. While I enjoy reading, it’s rare a book makes me cry, but this one did. I think Kevin seemed too perfect in the beginning, but then we learn he’s carrying a secret that could shatter everything everyone believed about him. At that point he became real to me. I thought the fact he was helping Jesus when he died was a little farfetched. Sure, I know there are lots of Hispanic people named Jesus, but I felt this was taking Nathan’s charitable acts too far. I thought the writing was excellent, and the story was woven in such a way that different characters told their story, but at the same time even with going back into time we don’t learn Nathan’s true secret until the present. Not everyone lives happily ever after, but healing and restoration takes place. Of course there’s no bring Nathan back, and for that reason the book is sad, but what if there were more Nathan Steens in the world? it would be a better place. Kevin Milne was born in 1973 in Portland, Oregon. Although Oregon was always considered home, he also spent portions of his childhood in Virginia, Hawaii, and California. 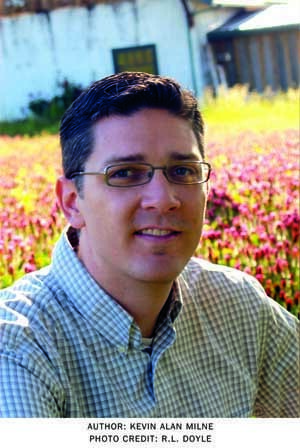 In 1991 he graduated from Sherwood High school, followed by undergraduate studies at Brigham Young University, then an MBA from Pennsylvania State University. As an adult he has lived in such varied places as Vermont, New Jersey, Nevada, Austria, and Croatia. Since beginning his writing career in 2007, Milne's novels have been reproduced in 16 languages worldwide. His first published work, "The Paper Bag Christmas", was converted to a stage play in 2011. Today, Kevin resides once more in his home town of Sherwood, Oregon. He and his wife, Rebecca, were married in Washington DC in 1995, and are the proud parents of five children. FTC disclosure: I received an advanced reading copy of this book in exchange for a fair and honest review. The opinions are entirely my own. Good news! I also received an advanced reading copy of this book to give away to one lucky reader of my blog. The giveaway is open to the USA and Canada. You must be 18 to enter. Winner will have 48 hours to respond to my e-mail or another winner will be chosen. Giveaway ends March 20, 2013 at 11:59 pm Eastern time. Kevin is a business professional by day, an author by night. I learned his wife's name is Rebecca and my daughter's name is also Rebekah. 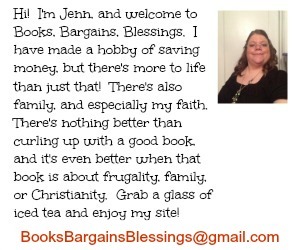 I learned that Kevin is a business professional by day, an author by night, and a husband and father around the clock. Kevin lived in Croatia for a while. When I saw his last name I wondered if he was related to the great writer A A Milne(Winnie the Pooh) and he does say that his family believe they are kin to him. I learned that one of his children, a son, is in kindergarden. I had never heard of him before! 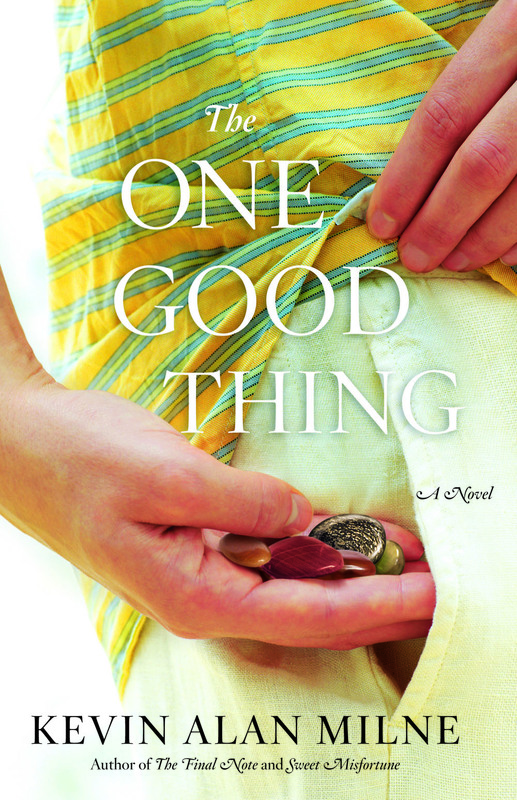 Advanced reading copy of The One Good Thing by Kevin Alan Milne. Visit Kevin Alan Milne's website and tell you something i learned. I learned that Kevin Milne was born in 1973 and grew up in Sherwood, Oregon, a quiet country town south of Portland. He earned a diploma from Sherwood High school in 1991, in a graduating class of fewer than one hundred students. Thank you for having this giveaway!!! !